JUnit, the most popular testing framework on the JVM was completely overhauled in its 5th major release. JUnit 5 is packed with rich features––from improved annotations, tagging, and filtering to conditional test execution and lazy evaluation of assertion messages. This makes writing unit tests in the spirit of TDD a breeze. The new framework also brings in a single, yet powerful extension model. Extension developers can use this new model to add custom features to JUnit 5. This article walks you through the design and implementation of a custom extension. 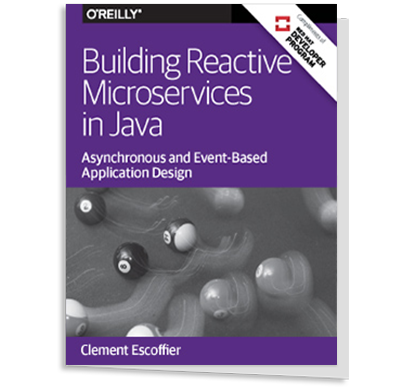 This custom extension provides a way for Java programmers to create and execute stories and behaviors i.e. BDD specification tests. From the code snippet we see that the Jupiter’s extension model is pretty powerful. We can also observe that our custom extension, and its corresponding annotations, provide test writers a way to write simple and clean BDD specifications. As a store owner, in order to keep track of stock, I want to add items back to stock when they’re returned. These reports can serve as live documentation of your application's feature-sets. The "@ExtendWith" annotation that was seen in the sample story earlier is a markup interface provided by Jupiter. It is a declarative way to register a custom extension on a test class or method. It tells Jupiter’s test engine to invoke the custom extension for the given class or method. Alternatively, a custom extension can be programmatically registered by the test writers or it can be automatically registered (globally) using the service loader mechanism. Test writers should use this custom annotation to mark test classes as stories. Notice that the annotation is meta-annotated with JUnit 5's built-in "@Testable" annotation. This annotation gives IDEs and other tools a way to identify classes and methods that are testable––meaning the annotated class or method can be executed by a test engine like JUnit 5 Jupiter test engine. Test writers should use this custom annotation to mark test methods as scenarios. The annotation is meta-annotated with JUnit 5 Jupiter's built-in "@Test" annotation. When IDEs and test engines scan through a given set of test classes and find this custom @Scenario annotation on public instance methods, they mark those methods as test methods to be executed. Note that unlike the JUnit 4 @Test annotation, Jupiter’s @Test annotation does not support the optional “expected” exception and the “timeout” parameters. And unlike JUnit 4 @Test annotation, the Jupiter’s @Test annotation was designed from the ground up with custom extensions in mind. Extension authors are free to implement all or some of these lifecycle interfaces. 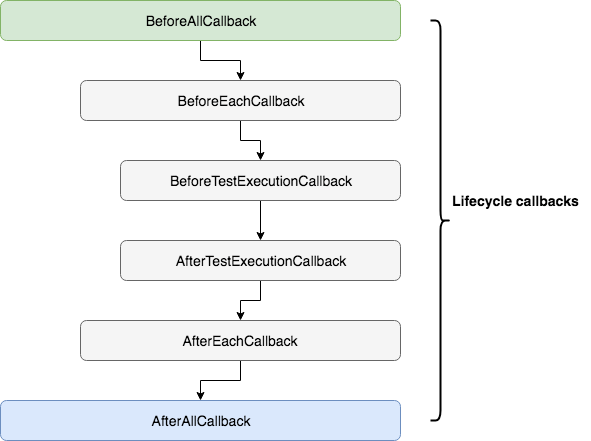 The “BeforeAllCallback” interface provides a way to initialize an extension and add custom logic before tests within a JUnit test container are invoked. Our StoryExtension class will implement this interface to ensure that a given test class is decorated with the “@Story” annotation. Jupiter engine will provide an execution context instance under which an extension is to operate. We use this context to determine if the test class under execution is decorated with the required “@Story” annotation. We make use of the AnnotationSupport helper class provided by the JUnit platform to check for the presence of an annotation. The last statement in the method above warrants a more detailed explanation. We are essentially retrieving a named store from the execution context and pushing our newly created “StoryDetails” instance into this store. As mentioned before, the Jupiter engine will provide an execution context instance under which an extension is to operate. We use the context to determine if the test method under execution is decorated with the required “@Scenario” annotation. Referring back to the beginning of this article where we described a sample story in code, our custom extension is responsible for injecting an instance of the “Scene” class into each test method. The Scene class enables test writers to define scenarios (behaviors) using steps like "given", "then", and "when" that are written as lambda expressions. The Scene class is the central unit of our custom extension that holds test method specific state information. The state information can be passed around between the various steps of a scenario. We use the “BeforeEachCallback” interface to prepare a Scene instance right before the invocation of a test method:As mentioned before, the Jupiter engine will provide an execution context instance under which an extension is to operate. We use the context to determine if the test method under execution is decorated with the required “@Scenario” annotation. The code above is pretty similar to what we did in the “BeforeAllCallback” interface method. The first method above tells Jupiter whether or not our custom extension can inject the required parameter used by a test method. In the second method, “resolveParameter()”, we are retrieving the StoryDetails instance from the execution context’s namespace scoped store. From there, we retrieve the previously created scene instance for the given test method and pass it to the test engine. The test engine will inject this scene instance into the test method and execute the test. Note that the “resolveParameter()” method is invoked only when the “supportsParameter()” method returns a true value. “StoryWriter” is a custom class that generates reports and saves them into JSON or text files. With all the key pieces in place, let’s see how we can use this custom extension to write BDD style tests using gradle. Gradle 4.6 and above support running unit tests using JUnit 5. You can use the build.gradle file to configure JUnit 5. We can run the tests using “gradle testClasses” or use your favorite IDE that supports JUnit 5. Along with the regular test reports, the custom extension generates BDD documentation for all the test classes that make use of it. We described JUnit 5 extension model and how it can be leveraged to create custom extensions. In the process, we designed and implemented a custom extension that can be used by test writers to create and execute stories. Head over to GitHub to grab the code and study the custom extension and how it is implemented using the Jupiter extension model and its APIs. Uday Tatiraju is a principal engineer at Oracle with over a decade of experience in ecommerce platforms, search engines, backend systems, and web and mobile programming.